The McLaren Sports Series have unique combination of high performance, outstanding luxury and race derived technical innovation. No other competitor offers lightweight and strong carbon fiber chassis construction, incredibly striking dihedral doors or as much horsepower in a sports car weighing so little. And no other sports car is as exciting to drive. The McLaren 650 Spider is a sporty, two-seat supercar with a rear-engine design, providing a glossy look and immense power for taking on the open road. As expected of the McLaren brand, the 650 Spider is no slouch, offering a turbocharged V8 engine, 570 bhp, and an impressive 0 to 100 km/h time of 3.2 seconds. With great handling and power on demand, a racing-style interior, and stylish shape, the 650 S is a sure-fire success both for business or pleasure. 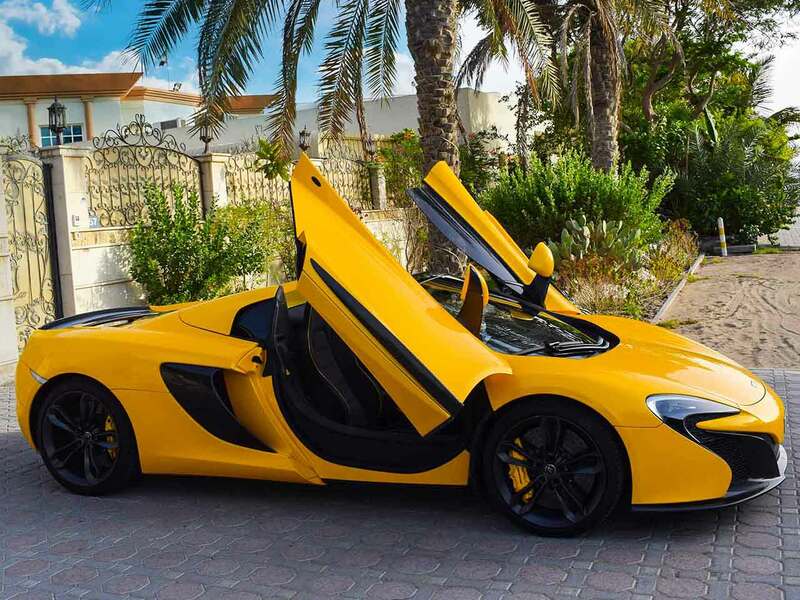 Driving this McLaren around Dubai or the wider United Arab Emirates (UAE) is a magical experience. With warm, sunny weather, stunning 5-star hotels, and plenty of activities available for the young and old alike. 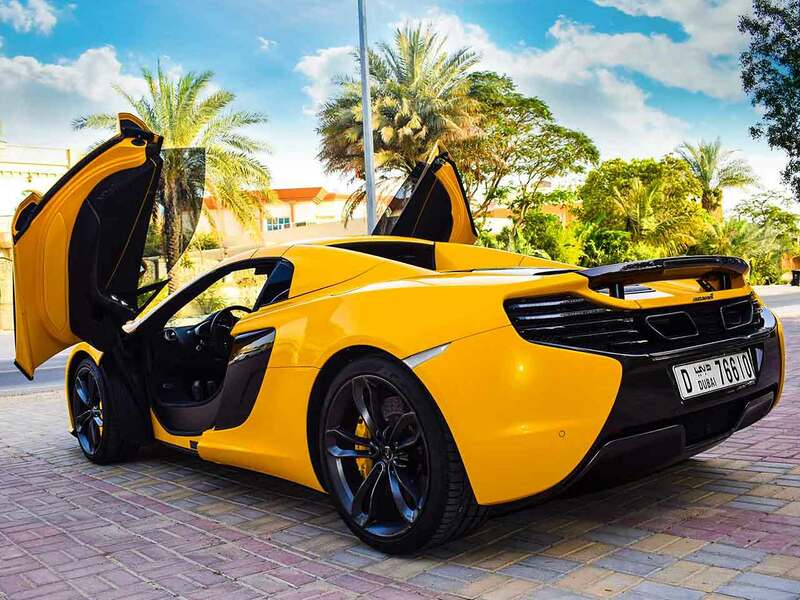 For McLaren 650 Spider rental in Dubai, we strive to provide the best service in the area. At Rotana star, we have many years of experience in the exotic Car hire field. As a result, we can bring value for money and top-notch service – guaranteed. A key reason for this is because we own our entire fleet of vehicles. This means we have more flexibility on price, unlike our competitors, who often lease their cars on a long-term basis. 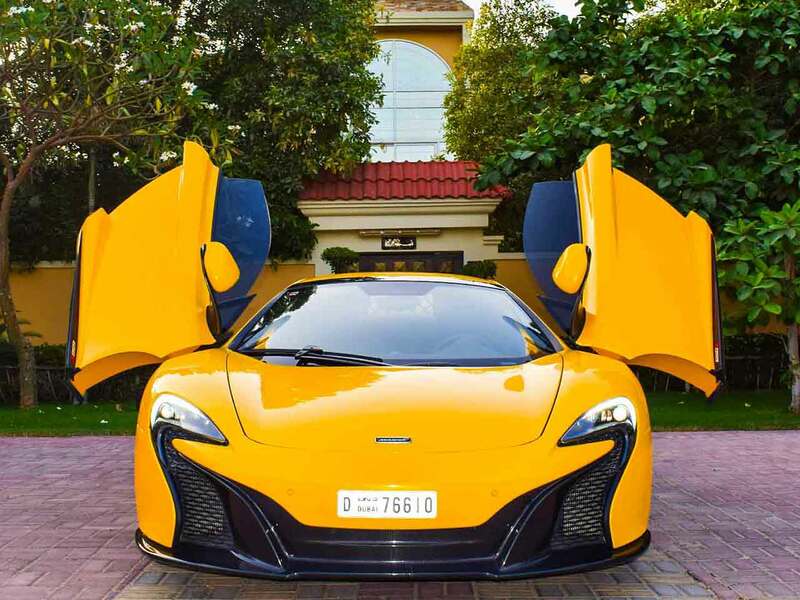 At Rotana Star, we make the process to Rent a McLaren 650S Spider in Dubai easy. The first step is the browse our website to find a suitable price. After this, contact us by sending in a request via our online form or by telephone. We aim to get back in touch soon after to finalize the deal. When the time comes to deliver the car, we offer two options: either pick-up the car from our Dubai showroom or take advantage of our popular door-to-door delivery service. 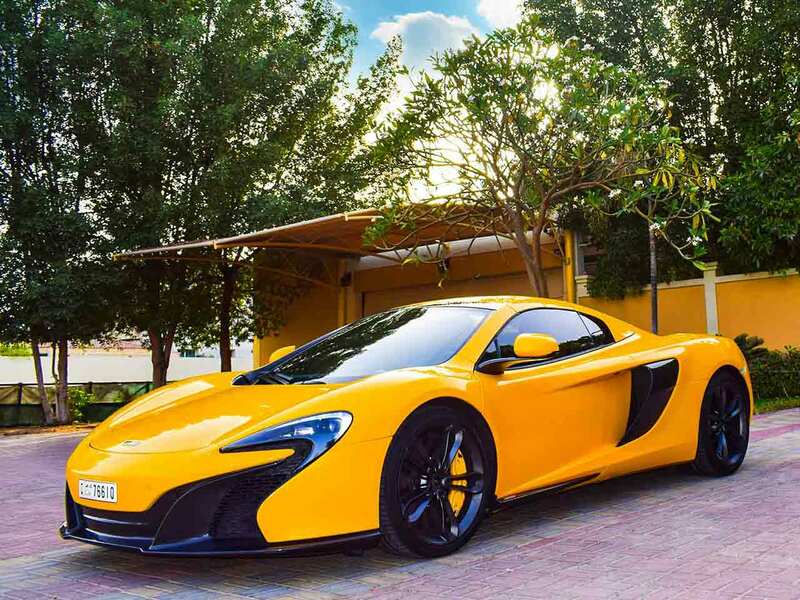 Our premium car rental services allow you the chance to rent a McLaren 650 in Dubai or other luxury brand cars at affordable rates. Book online or over the phone and collect your rent a car or get it delivered in Dubai.